Why “VIJIT” at Piramal Vaikunth? Exclusive 2BHK : 700 sqft approx. Launching TOWER 3 at Piramal Revanta, Mulund!! 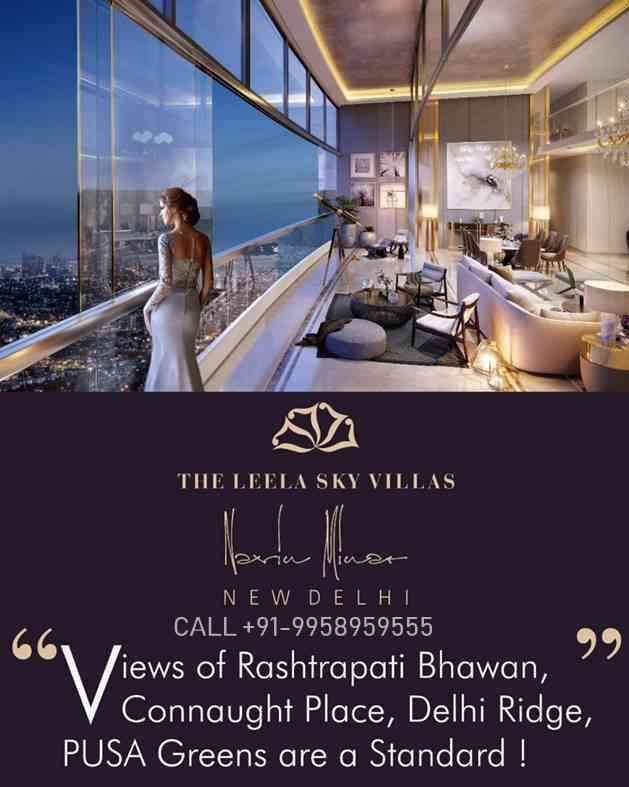 The pinnacle of luxury with magnificent views !! In addition to this, get a First Shot at the new Inventory! Launching new cluster at Piramal Vaikunth, Thane. 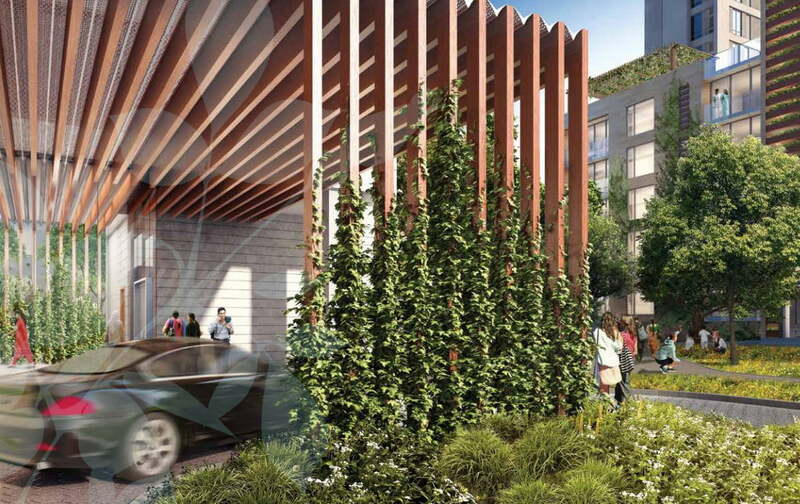 2 & 3-Bed Residences starting 1.15 Cr. Early bird benefits of up to 3 lacs. 2bed | 50 k | benefit 2lacs. Launching soon at Piramal Vaikunth ! The much sought after inventory @ Piramal Vaikunth, Thane is finally here!!! Launching cozy 2 bedroom apartments starting Rs. 87 Lakhs. Experience a slice of naturally connected living at Piramal Vaikunth, Thane. 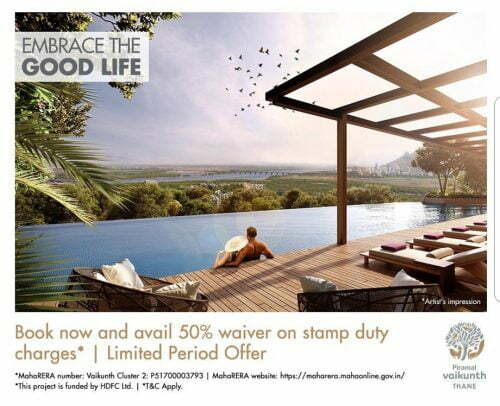 To reserve your apartment alongwith a discerning few, visit us at The Vaikunth Experience Center. 2 BHK apartments starting Rs. 87 Lacs. Launching Vidit Tower at Piramal Vaikunth. Thane’s most sought after inventory opens for sale on 18th Jan starting from Rs 87 Lacs. Book an appointment now! 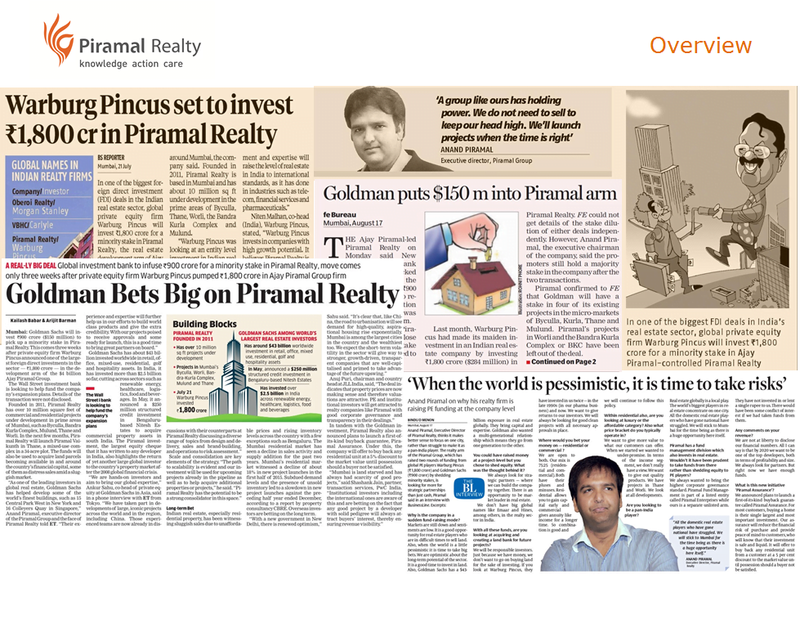 Piramal Realty announces the launch of a new Tower at Piramal Vaikunth. 2 Bhk apartments starting Rs. 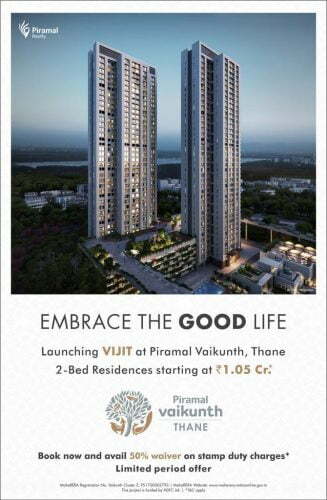 87 Lakh onwards.Piramal Vaikunth brings to you, premium 2 Bed apartments at Vidit Tower, Piramal Vaikunth from Rs 87 Lakhs.Living amongst nature is a rare luxury that Piramal Vaikunth offers. These would be compact 2 BHK’s. Expected carpet area would be around 515 sq ft.
Agreement Value on mid floors would be around 90 lacs with starting All Inclusive price sub 1 CR (Along with additional Rs. 250 psf discount for EOI customers). At present, during soft launch we are just accepting token cheque of 1.5 Lakhs along with expression of Interest with free look period till prices are revealed during Launch. 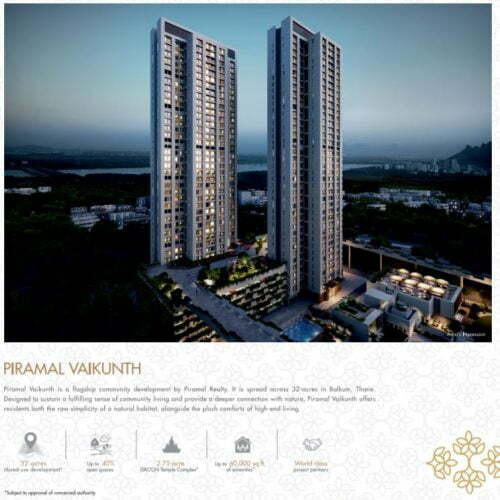 An RTGS or cheque shall have to be done by the client at the time of signing the expression of interest for 2 Bed residence/s at Piramal Vaikunth, Thane. The price revelation shall be made latest by 31st March ’17, failing which the client is free to ask for a refund. The same shall be done over an email. The monies shall be refundable in the event the client chooses not to go ahead with the booking post the price revelation. Post the price revelation via an email, the client will have to revert over an email within a maximum of 5 days to confirm his EOI. Post the confirmation of the EOI, the prospect will have to sign the Request for Reservation (RFR) and complete the documentation formalities. In the event of no telephone and/ or written communication from the client, the EOI shall be deemed cancelled and monies paid shall be refunded in full. The payment schedule is basis the Agreement Value (AV) of the concerned apartment and does not cover any statutory levies government as imposed by the government and also does not cover other charges that shall be payable at the time of taking possession. 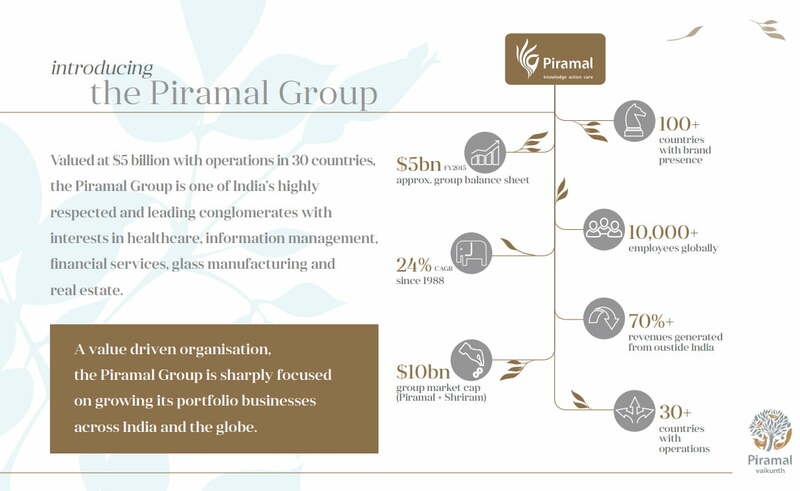 The Piramal group already has to its name a lot of successfully running business across thirty countries of the world with total revenue costing of about $ 5 billion. The group has further added to its bag of achievements a new construction and real estate company under the brand name of Piramal Realty. The company has brand partners that have their own stories of success in their working fields. Together hand in hand with these brands, the Piramal Realty aspires to design and create state of art and high tech master pieces in the disguise of homes and apartments for the residents of the Mumbai Metropolitan city. The group clubbed with the Shriram group has a $ 10 billion market capital and strides to keep moving forward creating more opportunities of revenue for themselves and the Indian economy. The company has an amazing share of twenty four percent CAGR since the year of 1988. 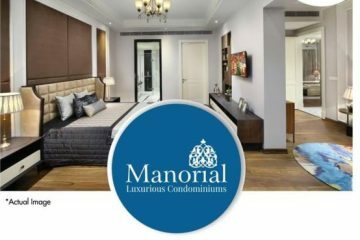 The Piramal Realty was founded in 2012 with the dream of bringing a total turn of face to the real estate market and setting up new bench marks for the standards of a real estate business along with keeping intact the tradition of good architectural design, safety and quality of the industry. We would come up with around 14 residential towers , 2 Commercial Towers ( Which will be supermarkets or kind) and 1 Iconic Tower along with Iskcon Mandir. On to your left bottom is Isckon Mandir, central Zone is phase I ( With the name of 4 Towers mentioned) and bottom right to it is Phase II ( Next to swimming pool) – Piramal Vaikunth Master Plan. * 28 Storeyed Tower,1st Habitable Floor starts from 6th Floor. 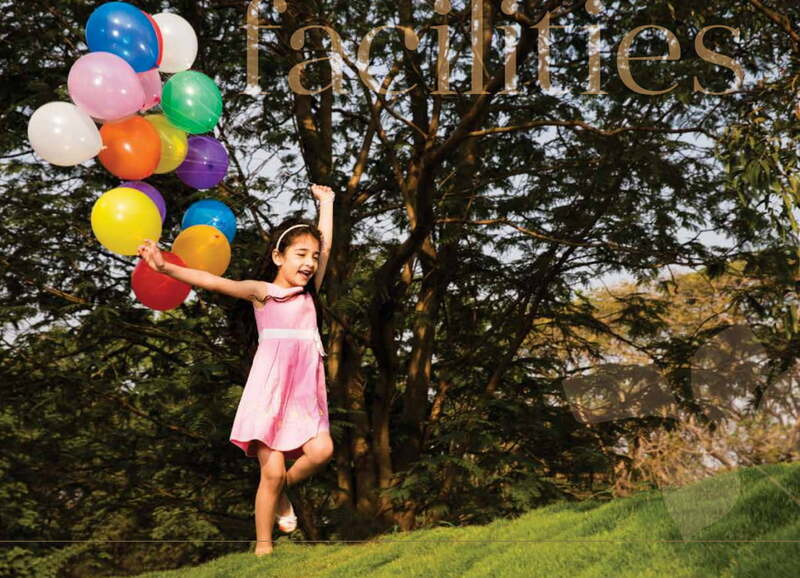 * Two Towers Launched – Vahin – 2 BHK & Vrisa – 3 BHk’s. * Vahin – 4 apartments per floor, Jodi option available. 2 different size of 2 BHK available – 908 carpet and 911 carpet. 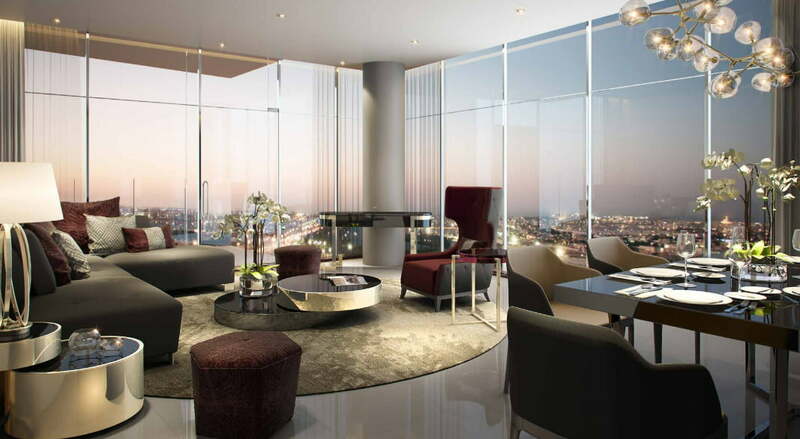 *Vrisa – 4 apartments per floor, 1262 sq ft carpet. *** Prices & Payment Schedule for the Phase – II Launch (18th June ’16 to 03rd July ’16) valid for the first 40 apartments only. Bank Address: Maneckji Wadia Building, Ground Floor, Nanik Motwani Marg, Fort, Mumbai-400023. 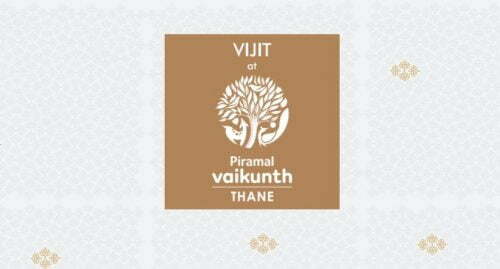 With this aim, the Piramal group has launched its project of Vaikunth with two sky rise towers of Vahin and Vrisa. Vahin and Vrisa are two towers located within the project of Piramal Vaikunth. Vahin offers a configuration of 2 BHK flats with two different carpet areas of 908 and 911 meter squares. The starting price of the 908 meter square carpet are flats is 1.48 Cr onwards while the starting price for the 911 meter square apartments is of 1.50 Cr. Vrisa has 3 BHK flats with a carpet area of 1262 square meter and start at the price of 2.19 Cr. 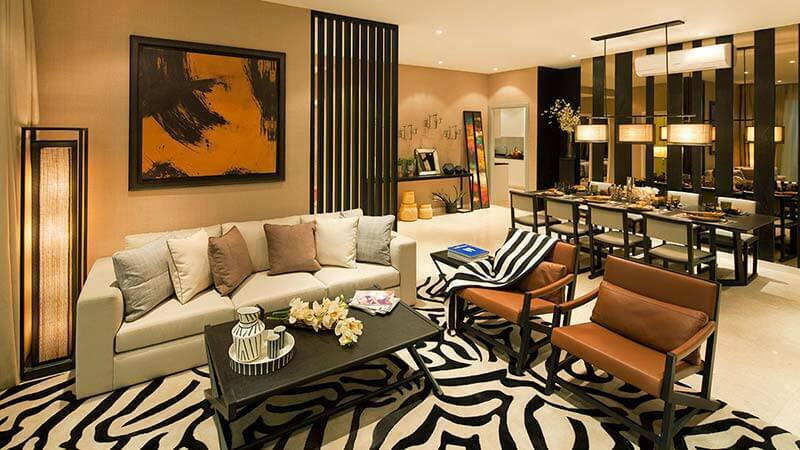 The flawless society created by the Piramal group has lots to offer to its residents. The first and foremost among the features being the fresh air of the environment that is present due to the presence of lots of greenery. Over crowdedness is a common problem these days to the population explosion faced by our country but yet, the Piramal group’s housing society of Vaikunth remains untouched by this because each floor has only four residences. The first residential floor of the twenty eight storeyed towers starts from the sixth floor onwards so at this height, you technically remain untouched by the dust and dirt that is present on the ground. All the apartments are built in a very eco friendly kind of manner and support sustainable development of the society. Thus, both the towers are situated on land that has nearly forty percent of its area un-excavated. To avoid the heating up of the apartments in summers, there is a minimum height of three meters that has been maintained from the base of the apartment to its ceiling. The apartments are fully fitted with air conditioners and hence you do not need to bother and take load of getting air conditioners fit to relieve you of the scorching heat of the sun. There is a perfect state of art gymnasium that helps you remain fit and on your feet. A dive or two in the world class swimming pool is sure to relieve you of the day’s stress and leave you rejuvenated with full energy to spring to your feet. The bike trails and the joggers track are an unusual feature of the Piramal Vaikunth that has been developed keeping the fitness freak youth in mind. With all facilities of international schools, entertainment hubs, amusement parks, hyper markets, waterfalls and lakes around the living area, the towers of Vahin and Vrisa make the best picture perfect home. 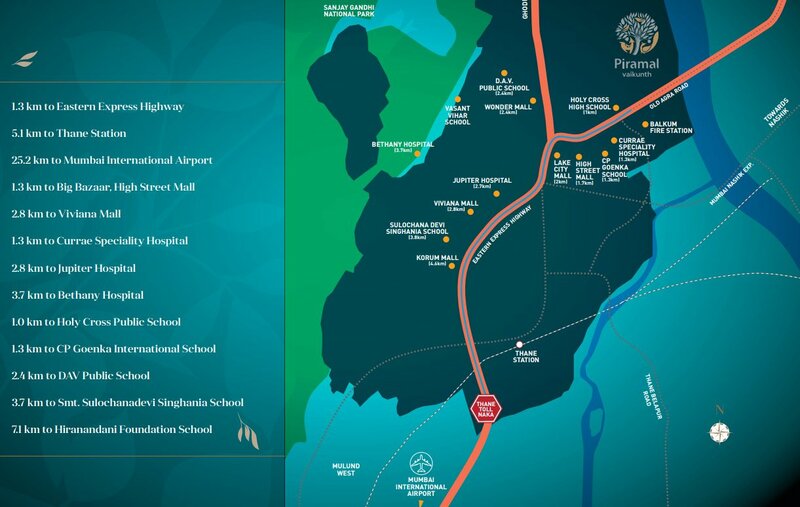 The development of metro in this area that connects thane and the other hubs of the Mumbai city have made Piramal Vaikunth the most aspired for living location in Mumbai. 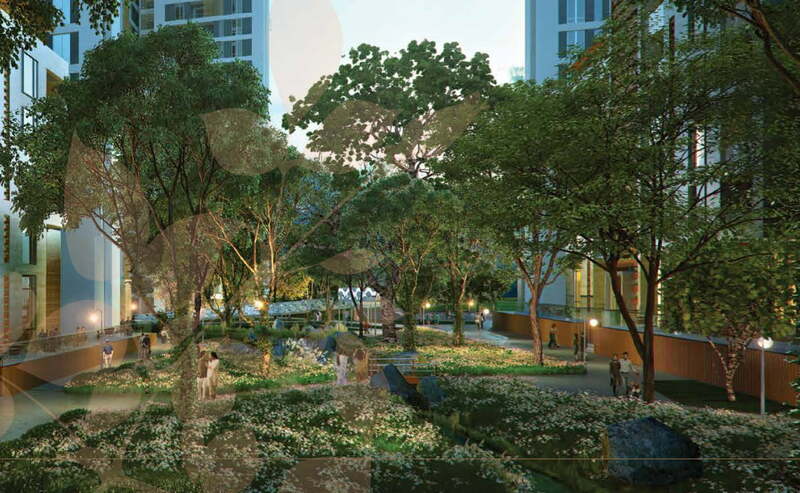 The design of Piramal Vaikunth is such that it is suffused with all world class features and luxury while also being in touch with nature to provide you the comforts of modern living and eco friendly existence with nature. For those in need of peace, there is a special meditation garden with cobbled walking paths and secluded areas for seating. The bedrooms and living rooms are well floored with wooden floorings to provide you smooth flooring with an elegant finish. The bathroom has been fitted with agglomerated marble or equivalent to provide you perfect bathroom fittings. The kitchen and wardrobes are modular designed. 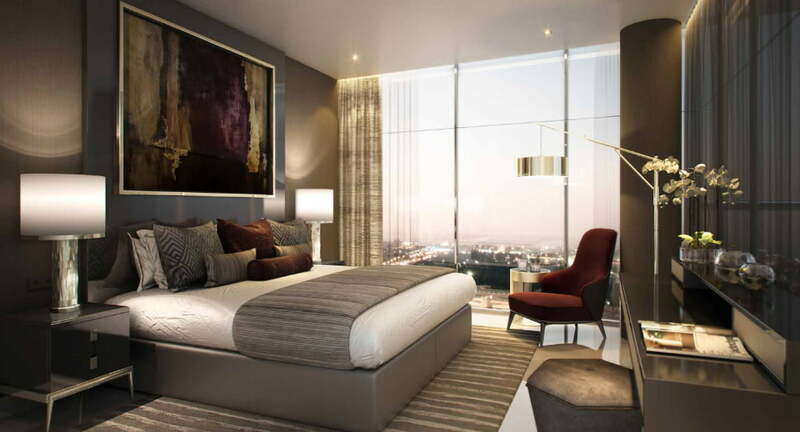 The expanse on which the project has been constructed is pertaining to all for a healthy and contemporary living. Spending life at Vaikunth is of unmatched pleasure. The Tower currently on Launch would be having carpet of 904 Sq. ft and super built up area of 1400 Sq ft ( Approx). Agreement Value is expected to start with around 1.5 CR, whereby All Inclusive prices would be around 1.7 Crores. Please feel free to connect with me in case of any further assistance ! Piramal Vaikunth is one of the prime properties in the region of Thane. The Piramal group has launched the second phase of its property and realty group services in the upscale neighborhood of Thane. 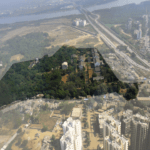 Thane has been known since the time of British to be a great area and has seen lots of development after independence. There are great malls, schools and hospitals along with multiplex and places of leisure and entertainment in the adjoining areas. So if you are looking for one of the best properties then you can definately invest in the Piramal vaikunth by Piramal Realty groups. 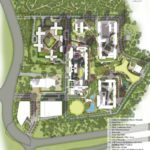 The facilities by Piramal Vaikunth will be discussed later but before that we should see the kind of locality Thane has and also something about Piramal group. Thane has always been known as the prime property areas and is also known as the lake city with Masunda lake being the prominent one ,where one can enjoy to the fullest and also have all the living facilities. Thane railway station is one of the busiest railway station in the Mumbai harbor line. You can get more in terms of facilities if you stay at Thane. Thane has been a major suburbs with lots of entertainment areas which gives the best of the entertainment and shopping experience whether morning or evening. Now as we all have heard about Piramal Group it is one of the biggest business units in housing sector. It brings residential properties at choicest location and give you facilities which are known throughout the world. 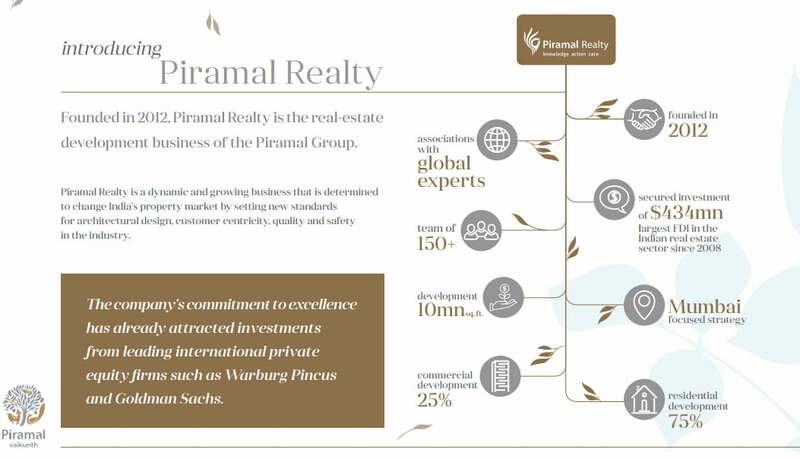 Piramal Group has its business in real estate all over the world. It has spread its wings even in the offshore countries. People know Piramal group by its name. it has become synonymous with quality and trust. So if you are looking to buy a home of Piramal group you must be assured of the best quality and standards of the units. Piramal group has emerged as one of the best business units in terms of residential properties. So if you are looking to buy property in the Piramal Vaikunth then you must be assured about the top notch facilities provided in every apartments of Piramal group. The kinds of facilities provided by Piramal Vaikunth are as follows. Every home in this property will be well lit with the best lighting facility provided by the group. Kitchen will be spacious with modular kitchen giving the best of the facilities. Also there will be gymnasium, club house and swimming pool within the premises. The home will have spacious balconies and every home will have a wooden flooring master bedroom and also there will be tiles in the bathroom and drawing rooms will have marble flooring. The children play area will be very large providing all kinds of playing arenas like badminton courts, volleyball courts basket ball courts which will give your children a great childhood. In this manner you will find the best of the facilities in terms of facilities provided by Piramal Vaikunth will be of top notch services. Also there will be park so that elder people can enjoy a great evening with the like minded people. Also there will be the best of the services in terms of swimming pool where you can enjoy swimming and not only that there will be gymnasium for people who are interested in body building. There will be facilities such as health facilities a well equipped library with great books for children as well as adults with study room and 24/7 power back up along with manned security. The services by Piramal Vaikunth will be of top notch quality and raise your living standards in the best possible manner. 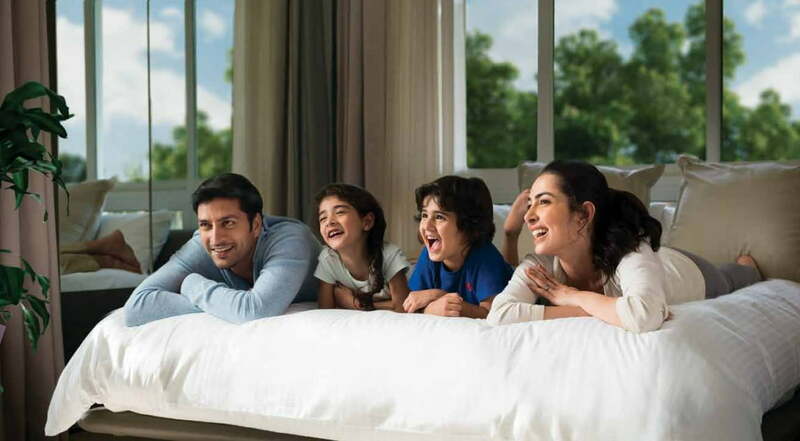 So buy a home in Piramal vaikunth ph 2 and enjoy the lifestyle with panache.Now facilitate the overall development of your child, excellent basket ball courts and badminton courts have been constructed. With indoor room for games and aerobics, a fully fit environment for remaining fit and healthy is present. For the convenience of working women, a crèche and day care center has been established with well experienced people handling your little ones so that you do not need to be worried about their being alone at home or not in secure hands. In case you need to host a party and celebrate then also we have made perfect arrangements for you. With perfect banquet halls and guest suites to settle your guests into, there is no requirement for you to go out in search of a place to host your party. Your party place is available right within your community with all arrangements ready to be put to use. The artist’s residency of the Piramal Vaikunth has been designed with the aim of building long lasting communities by cultural engagement. It is among the first artist complex to play host to an artist residency within its premises. 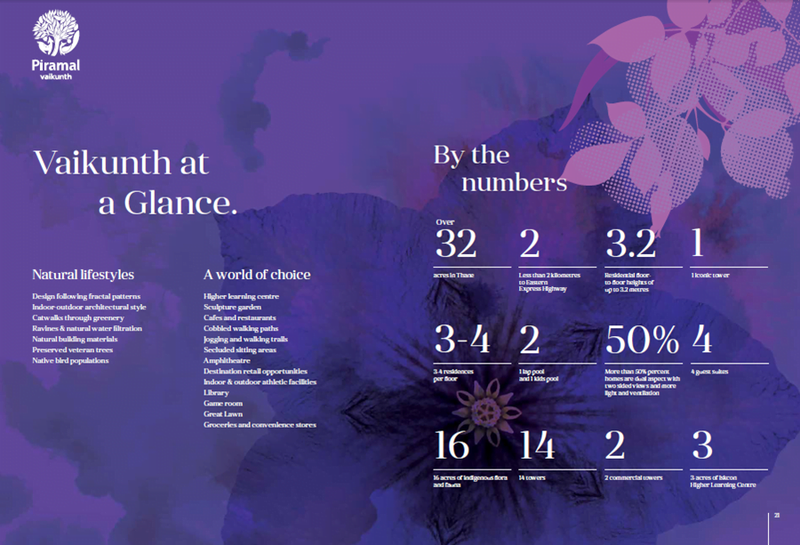 This facilitates the connection of the residents with art works of artists inspired by the natural beauty and attractiveness of the environment that persists inside the Piramal Vaikunth complex. Reviews: If you are looking for great property with nearby possession date then you should look for Piramal Vaikunth in Thane. 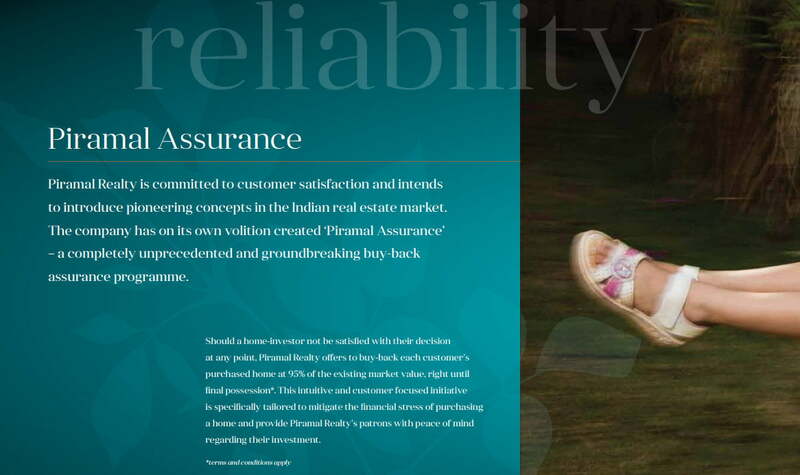 Property Investor The best in class property at affordable rates by Piramal Vaikunth. 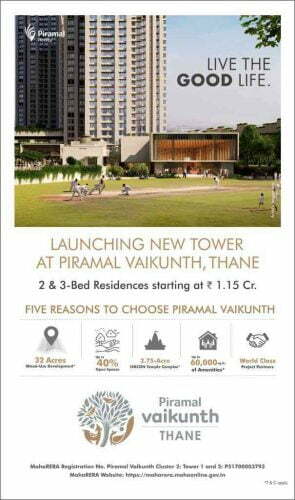 Piramal Vaikunth Phase II Piramal thane Vahin & Vrisa Master Plan:The property will be well equipped and spread in 32 acres with all the amenities at affordable prices.